Portable double faucet tower clamps onto work benches, picnic tables, folding tables, counters ... a nice way to present homebrew dispensed at barbecues, parties, wedding receptions, or the NHC! 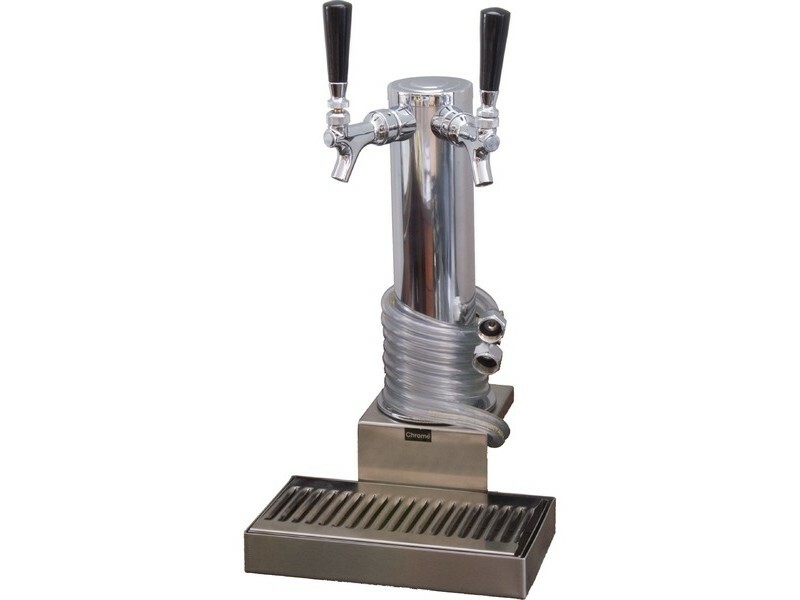 Comes with tail pieces and hex nuts; you will need to replace these with a liquid pin- or ball-lock disconnect to dispense from soda kegs. Faucet handles not included.